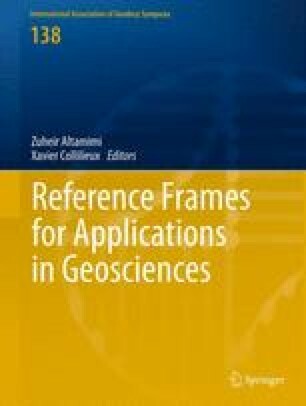 The International Terrestrial Reference Frame (ITRF) datum definition is of primary importance for many Earth Science Applications. While accurate origin information (Earth Center of Mass) is required for any precise satellite orbit determination, an accurate scale is indispensable for various calibrations (altimeter absolute bias, GNSS satellite antenna phase center offsets). Studies involving vertical motion determination, such as mean sea level and Glacial Isostatic Adjustment (GIA) are also affected by the choice of the underlying Terrestrial Reference Frame. ITRF datum accuracy evaluation has been traditionally performed by comparing independent space geodetic technique performances and successive ITRF solutions. While the ITRF2005 to ITRF2000 comparison may lead to pessimistic evaluation of the ITRF datum accuracy, the question is raised whether the error budget deduced from the ITRF2008 to ITRF2005 comparison would be optimistic, especially for the time evolution of the origin. It is fundamental to explore external ways to evaluate the ITRF frame parameters and especially their time evolution which impacts the results of many climatic studies. The state of art of available methods is reviewed by stressing their advantages and drawbacks. Most of them have been already implemented and show that the ITRF2005 origin rate is probably reliable at the millimeter per year level. However these methods have been applied on different velocity field with different models and required assumptions which make their mutual comparison difficult. Thus, new analyses are required in the future.